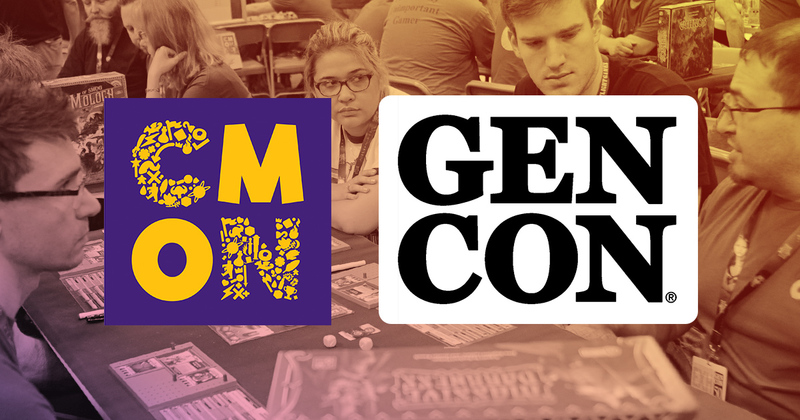 Gen Con kicks off in Indianapolis next week, and for many board game fans, it is the most important time of the year. Publishers, designers, artists, and fans all congregate for the best four days in gaming, and this year’s show promises to be one of the best ever! We got a chance to talk to Carol Spain, CMON’s Show Manager, about the significance of the show and how CMON comes together like a well-oiled machine. Over 60,000 attendees are expected to descend on the convention center, and it requires a full army of representatives to come together with the common goal of showing those attendees the best time possible. The hardest part of running the show is making sure that of all of the many things that could go wrong, none of it is seen by the public. Big conventions have a lot of moving parts, with a lot of potential problems along the way, so we’re lucky to have a strong team that pulls together to all do their part. Gen Con is one of the most important dates on the gaming calendar. We look forward to the show every year, and it gives us a chance to reach out to our fans with the new games being released, plus being able to give them sneak peeks of games coming out in the next 12 months. If people are interested in joining the team in the future, stay tuned for call out on the CMON Facebook and Twitter feeds, or come talk to us at the shows.